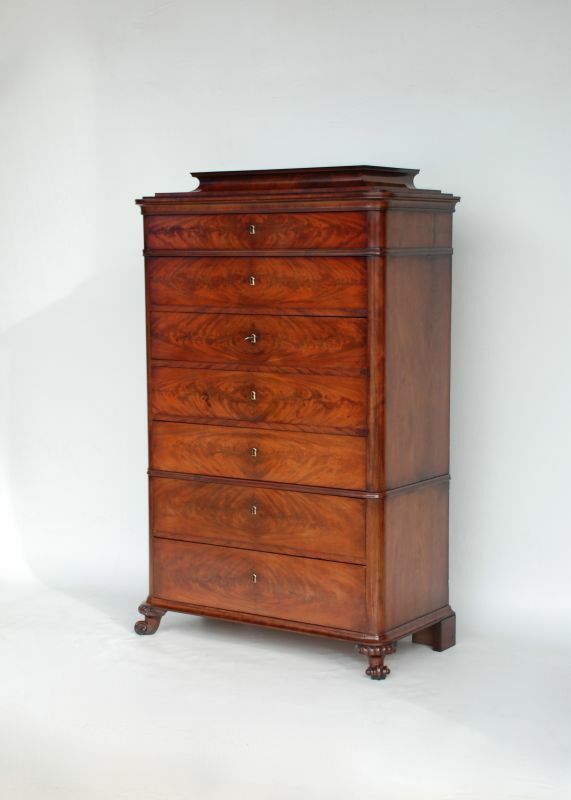 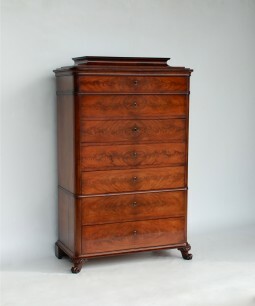 A tall chest of drawers in striking figured mahogany on turned out scroll feet. Even in the 19th century the Scandinavians were interested in clutter free furniture design. 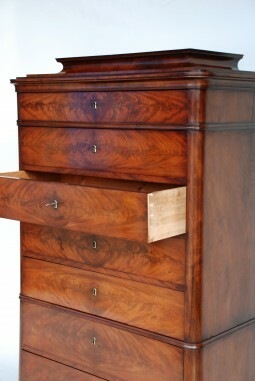 39 inches wide, 19 inches deep and 62 inches high. 100 cm wide, 48 cm deep and 157 cm high.